With more than thirty years experience in the alloy welding industry, our helpful, friendly and guaranteed service makes certain you save money, while maintaining your vehicle road worthy and looking good without having unnecessary charges to upgrade all of your alloy wheels. 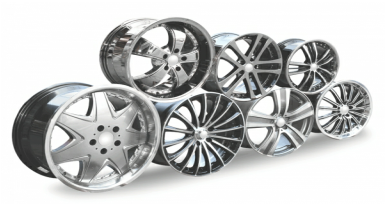 We restore alloy wheels and offer you a repair service in and around the Manchester Area. Regardless of whether cracked or dented, we can repair your alloy wheels in most cases within 24 hours. We offer a quotation service where you can send us your picture for us to evaluate and send you a competitive quote. Aluminium wheels are expensive to purchase as we all know. If a wheel is damaged, why do you have to replace all four wheels, as they will only sell you a full set? Alloy Wheel Repairs Manchester can repair it for you. 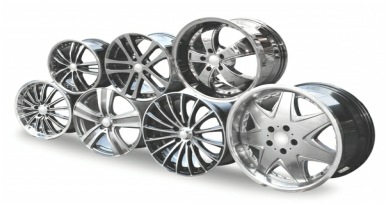 With over 30 years of experience working and welding aluminium, Alloy Wheel Repairs Manchester can restore your aluminium wheels to there former condition. As shown in the before and after pictures we can skilfully repair your wheels as an alternative to spending a substantial amount of money to replace them all. Alloy Wheel Repairs Manchester can assure you that our quality of work is unrivalled, as our customers will confirm. With our standard of repairs we come highly recommended by many local tyre/exhaust companies in and around the Manchester area, we also work alongside them on many situations. We also offer a quick turnaround on the repairs and can offer where possible the same day or sometimes half a day repair service to your wheel. Even though our standards of repairs are high, the prices are not! A single crack in a wheel could cost as little as £35. Alloy Wheel Repairs Manchester also offer a fantastic NEW service for our customers - just email us a picture of your damaged wheel and we can give you a FREE estimate for the cost of your wheel repair without even having to leave the house! Alloy Wheel Repairs Manchester also have close link to local tyre companies who will remove your tyre for you so the wheel is ready for a speedy repair. Copyright © 2019. Alloy Wheel Repairs Manchester, All Rights Reserved.